Rapier Systems Ltd acknowledges that it has both corporate and social responsibilities to its employees, customers, suppliers and other stakeholders as well as the shareholders of the company. We are committed to conducting our business in a manner which achieves organic growth without sacrificing our legal and moral obligations. We strive to meet the objectives of our board in a manner that takes full account of the need to care and be responsible for the economic, social and environmental impact of our activities. We endeavour to maintain high standards of health and safety, taking full responsibility of our duty to provide safe working conditions. We shall continuously monitor and seek to improve our health & safety performance through the use of rigorous, robust management systems, utilising externally accountable / measurable systems where appropriate and applicable. For a copy of our health & safety policy, please contact us. As a business, we are committed to ensuring that our activities are conducted in every respect according to the highest possible ethical and professional standards. We also acknowledge that legislation and customs may be different in countries that we operate. We shall endeavour to minimise any impact of our activities by minimising our waste, preventing pollution and having sound environmental management practices. We commit to conducting our activities in accordance with existing best practices and legislation and further seek to continuously monitor and improve these processes throughout our business. For a copy of our environmental policy, please contact us.fleet. Suppliers are our partners and we work with them to achieve our goals and aspirations. They help us to deliver products and services to our customers. We will always strive to ensure that our suppliers know and understand where their products are sourced. 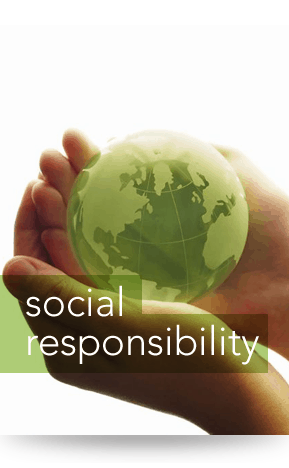 It is our aim to ensure that general widely held principals of environmental sustainability are upheld. By adopting this policy, we seek to ensure that our supply chain meets and where possible exceeds recognised standards when it comes to labour and environmental working conditions. We are an equal opportunities employer and opportunities are also available to any person(s) with disabilities in accordance with their abilities and aptitudes on equal terms with other employees / prospective employees. Opportunities exist for all our employees, whether prospective or existing on the basis that we recognise our reputation is dependent on the expertise, skill, commitment and effectiveness of our team. We are wholly committed to the fair and equal treatment of all our employees. We specifically prohibit discrimination on the grounds of race, religion, sexual orientation, nationality or ethnic origin. for a copy of our equal opportunities policy, please contact us. It is always our intention to give back to the communities where we operate and as such we aim to make contributions where possible, especially in communities that are close to our operations, through the support of local initiatives and involvement, as well as local charities. It is a fact that motor vehicles produce emissions that harm the environment. We are committed to reducing travel by motor vehicle where practicably possible; by utilising communication techniques which allow us to do so. Taking this approach will benefit not only the environment, but also our staff, the general public and other stakeholders. Where possible and commercially viable, it is our intention to embrace environmentally friendly vehicles in order to achieve a low carbon (green) fleet.